EWG Construction LTD works as both an independent property developer & building contractor. 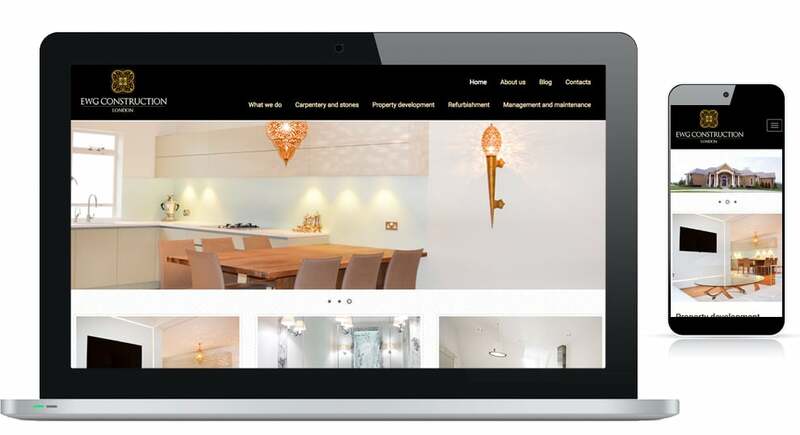 The experienced team carry out operations in building renovations, interior design projects and refurbishments. They also have their own carpentry and joinery workshop along with affiliates in the stone mason sector allowing them to produce a multitude of furniture and pieces. To enhance the client’s digital presence we’ve made the core brand value link to the site design. Delivering a quality and consistent theme throughout the site with such features to further the user experience when browsing the site. 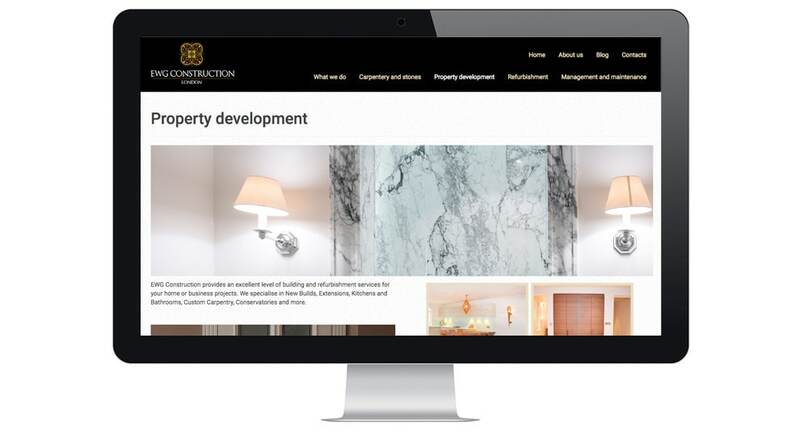 Such as a 3D Curtain effect on the What We Do page, a slider creating a before and after effect of projects within the Carpentry and Stones page and added galleries of projects on other corresponding pages too.